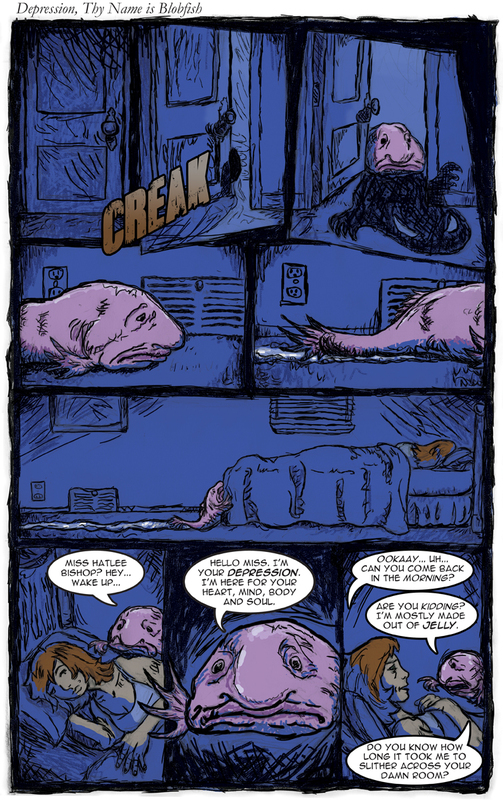 Depression, Thy Name is Blobfish. It just fits, dontcha think? What’s worse than having a blobfish as your personal avatar of self-hatred? Being a freaking blobfish. And I did, and then I wished I didn’t. Surviving, but not quite living, under enormous pressure in the depths and darkness. A slimy, gelatinous mass, no bones or muscles to speak of, not even expending any energy. Just slithering around, swallowing whatever floats in front of it. Yep, sounds like depression to me. I just love blobfish’s nose. What an unfortunate looking creature. Blobfish is definitely the most unfortunate creature.